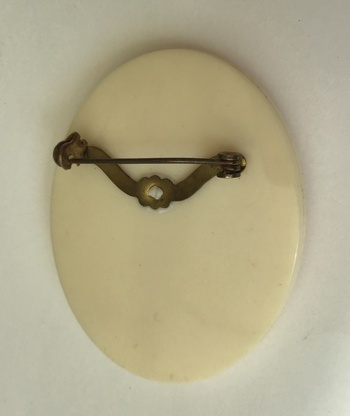 Hello, I was wondering if anyone could give me any information about this brooch. 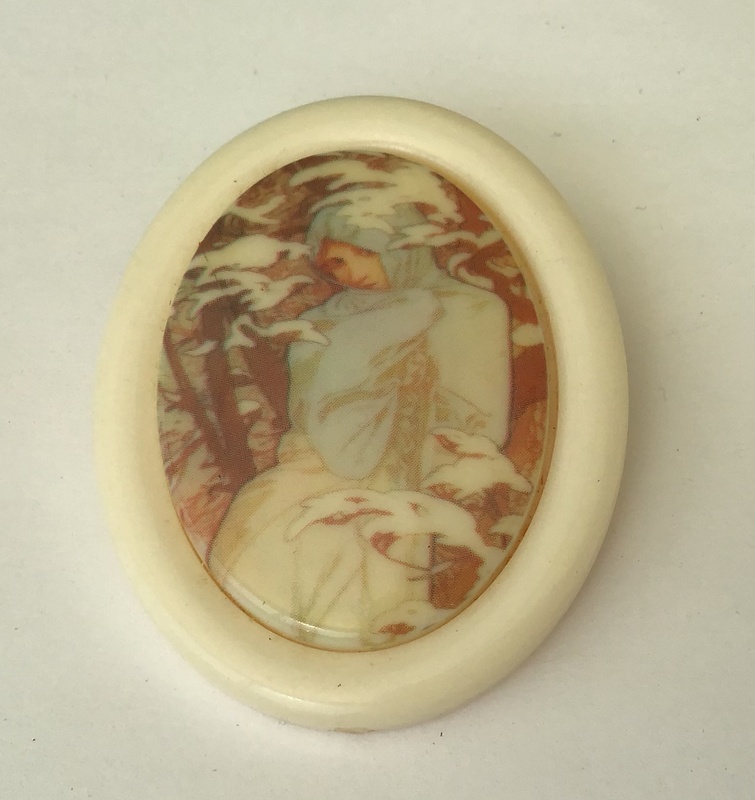 I believe it is an unsigned Lea Stein and is one of a series of 6 that were made to celebrate the work of Alphonse Mucha. I would like to know if it is a rare one. Any help would be much appreciated. This piece is far from my expertise, but I just had to comment on your profile picture. Is that your dog? He is marvelous!!! Yes that is my dog. She is a Dogue de Bordeaux, a big baby 47kg, nearly 3 years old and her name is Kilo. She is loved very much and has a lovely nature. I don't know anything about Lea Stein, but what I've seen in Judith Miller's book I got the impression Stein's work is very modern and abstract. 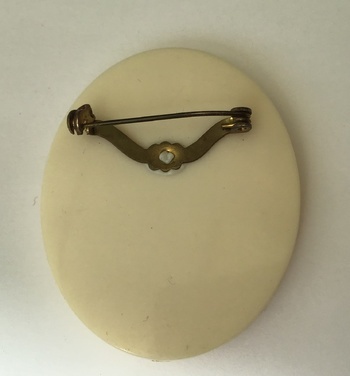 The back on your brooch makes me think it might be older. 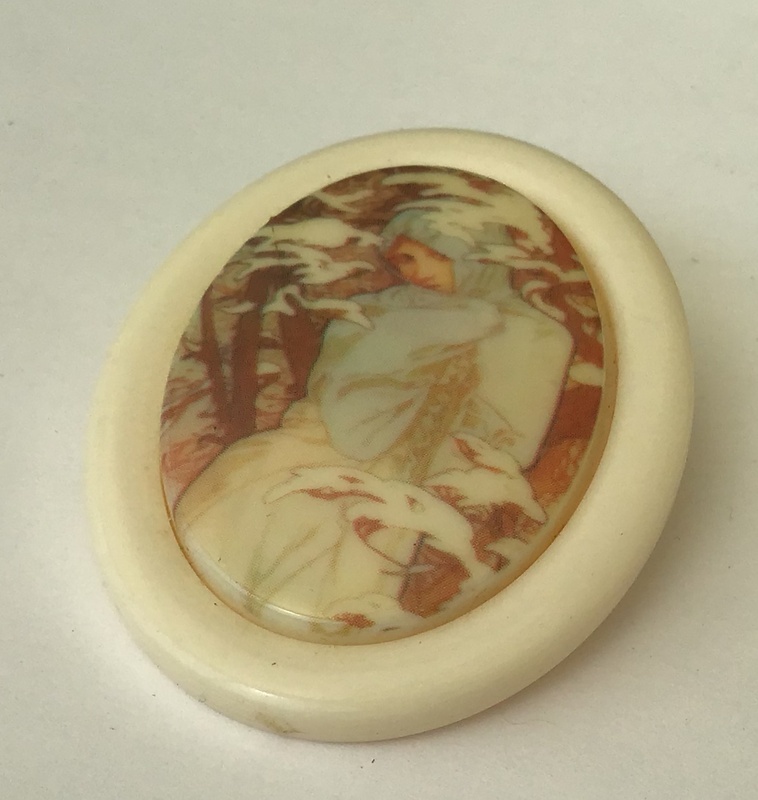 I do know a bit about Lea Stein, I bought one of her fun brooches, new then, during a trip in Europe in 1981. A figural farmer, with green pants and brown straw hat. Much before she became very collectible. Not signed either. Hello to you all and thank you all very much for your information and your comments on my dog. What a great friendly lot you all are at " Collectors Weekly".